Welcome to Our WorldHow Much Spending Money do I need for Paris? Paris, the city of love, art, and fashion. Home to many of the worlds most famous monuments and landmarks. A city connected by wide boulevards lined with cafes, boutiques, and bistros. Luxury and fine taste are synonymous with Paris but how expensive it? What are the costs of everyday things like a glass of wine, or the price of a taxi from the airport? Average daily spend by real travellers in Paris: €82 (£72). This reflects what everyday travellers tend to spend in Paris. Think mid-range – most of the major attractions, a few cab rides, maybe a big night out, and a bit of shopping on the side. It doesn’t include the cost of hotels or car hire as these are often booked in advance. 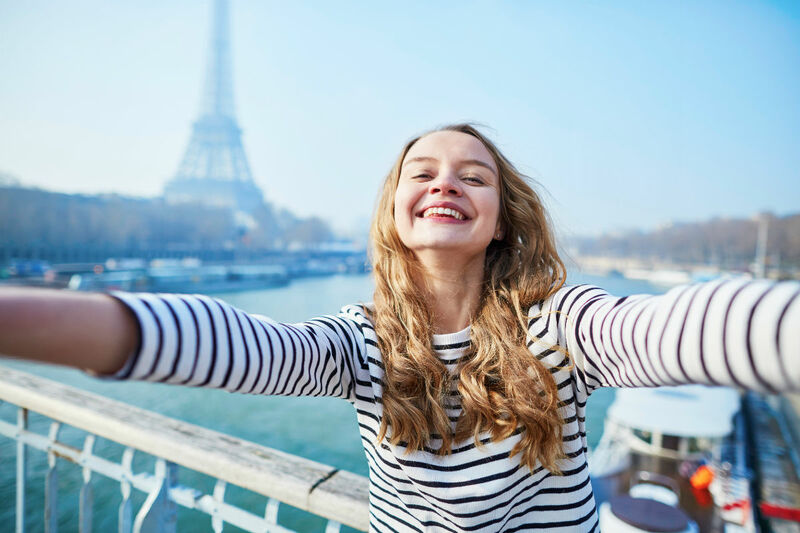 4 days and 3 nights in Paris seems to be the most popular trip length. A long weekend or even 2 nights will give you a taste but 4 days means you can really explore and see most of the best places. You can be there in 2hrs 16 from London and with 19 trains a day pick a time that maximises your schedule. Those coming from further afield might consider a full week. This will be a more relaxed trip and could include day trips to Versailles or Giverny. No shocks to see The Eiffel Tower top our list of the most popular things to do. “The Iron Lady” offers awesome views over Paris but given its popularity, queues can be huge. Our advice is to book in advance online – you can select a half an hour time slot which will also guarantee you a lift ride up. The Louvre is the most visited museum in the world, it’s also one of the biggest. For a more manageable injection of art, visit the home of impressionism, the Musée d’Orsay (€12). You can see it all in around two hours and with a Eurostar ticket, you’ll gain 2-4-1 entry. The Catacombs (€13) is a network of spooky underground tunnels that lie beneath the City of Lights. 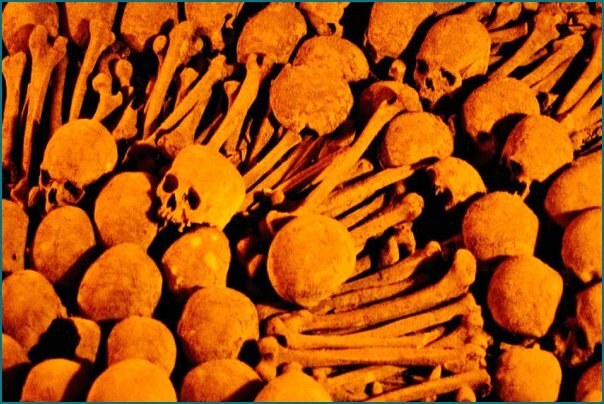 They are home to over 6,000,000 bodies – or rather bones and skulls. Chilling, creepy, and well worth it. Visiting Paris? 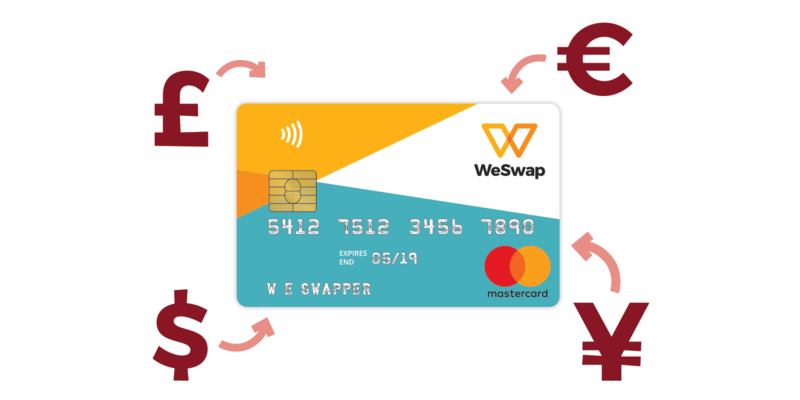 Get £10 free to spend there when you sign up for a WeSwap Card Today! 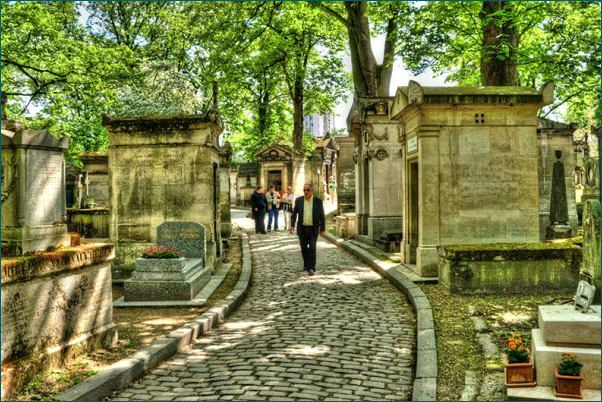 Our WeSwap staff pick is Père Lachaise Cemetery which also won’t cost you a penny! As well as giving your wallet a well-deserved break, you’ll get to visit the resting places of Jim Morrison and Oscar Wilde. Prepare to find tourists in floods of tears! Touching or a little bit weird? You decide. Every first Sunday of the month, many Parisian museums offer free admission but expect long queues. 18-25 year-old EU-citizens can get free admission to many Parisian museums and attractions. Check prices at the entrance. Food costs vary massively. You can go to a Michelin Star restaurant and pay hundreds of Euros per head, or you can grab some great French comfort grub in one of the many brasseries. 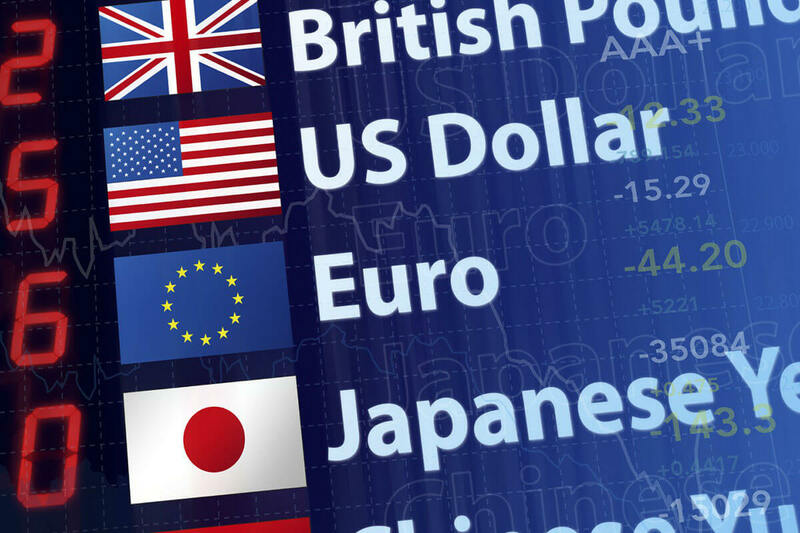 The average WeSwap restaurant transaction is €40 but remember, that’s just an average. 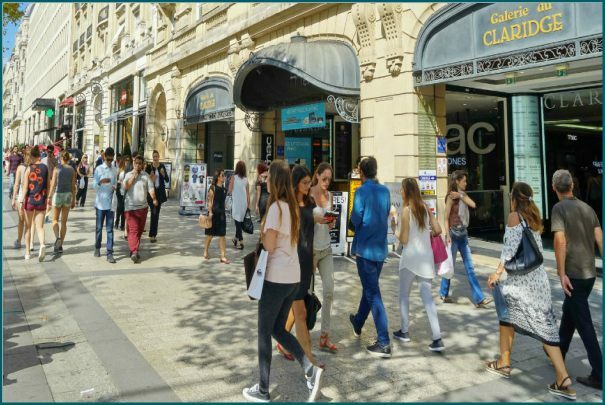 Stay away from tourist squares – as always in high-traffic restaurants, the need to rush people in and out negates the quality. Le Bistrot d’Henri is a lovely little brasserie with a buzzy atmosphere and friendly waiting staff. And the prices are super reasonable too. It’s popular so to avoid disappointment either book ahead or arrive early (pre-20:00). We absolutely recommend you taste the boeuf bourguignon. The owner has three more independent restaurants in the area so if you cannot get a table, ask them to point you in the right direction. 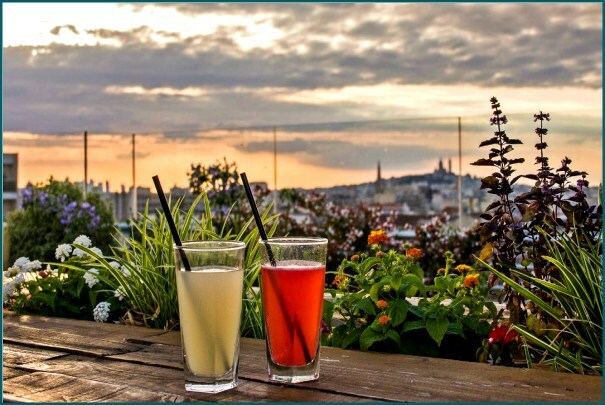 Bar le Perchoir is a rooftop bar with spectacular views over the steely rooftops of Paris. 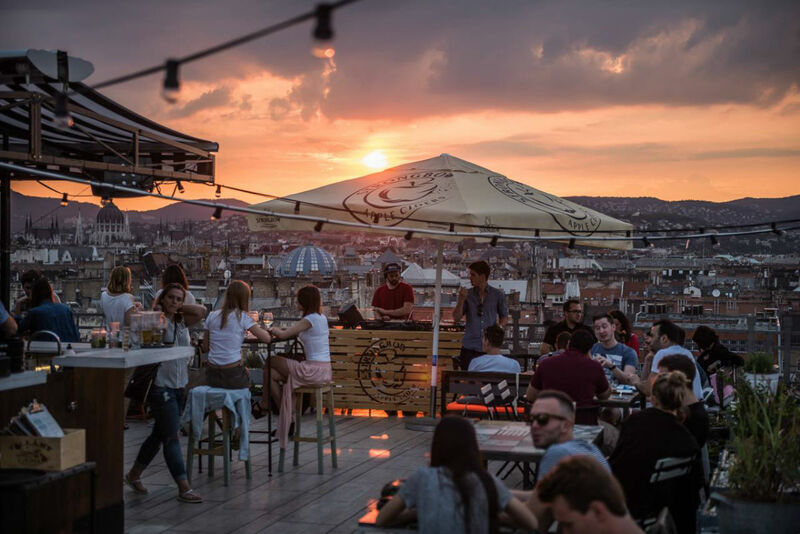 As always with rooftop bars, the best time to go is sunset: You see light, you see dark, you see the special bit in between. Paris does not have hundreds of rooftop bars but this view at Bar le Parchoir is worth finding. You don’t need to pay tips in the restaurants, but normally you round-up the amount (e.g. €23.40, you pay €24). 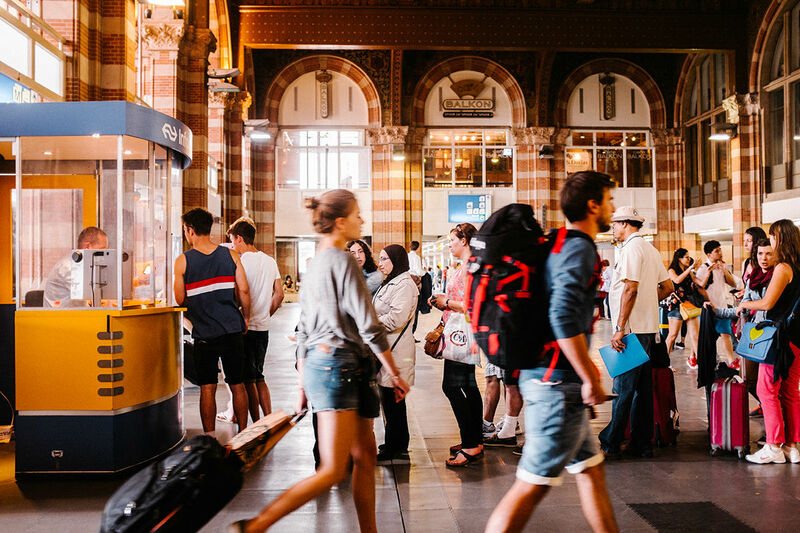 WeSwap users spend €13 on average per day which is the same cost as a daily unlimited travel card. You savvy bunch! Although the Metro is a little shabby, it’s wide-reaching and reliable. Paris is a huge city and an unlimited day pass can get you everywhere. When the metro closes, the night buses start running. The Paris Viste card works on the night buses too. Uber Pool worked a treat for me (Liam) in Paris. Cheaper fares than regular Uber and of course the benefits of door-to-door service. The Metro can feel a little unsafe if you’re in the suburbs late at night too. Shopping is hard to put a price next to – it entirely depends on how much you want to spend. Rest-assured, the sky is the spending limit in Paris. WeSwap users drop around €90 on an average shopping trip but of course, you wouldn’t go shopping every day. Our heftiest single transaction was €3350 spent on dresses in a bridal shop (awwwwwww!). Our travellers also like a trip to the famous bookshop Shakespeare and Company where the average spend is €21. If Paris is the fashion capital of the world, then the Champs Elyse is the beating heartbeat. For a high-end shopping splurge, head there – you’re near the Eiffel Tower and Arc de Triomphe too. If you like shopping then the Champs Elysee is for you. That includes windows shopping! For a nice blend of vintage and high-street fashion go to bohemian Jewish District, Le Marais. There you’ll find thrift shops charging by weight; staples like H&M, and smaller boutiques too. Last checked and updated: 06.07.2018. All travel, accommodation and entertainment costs are taken from the provider’s official website – but don’t forget to double check yourself first before you head off. 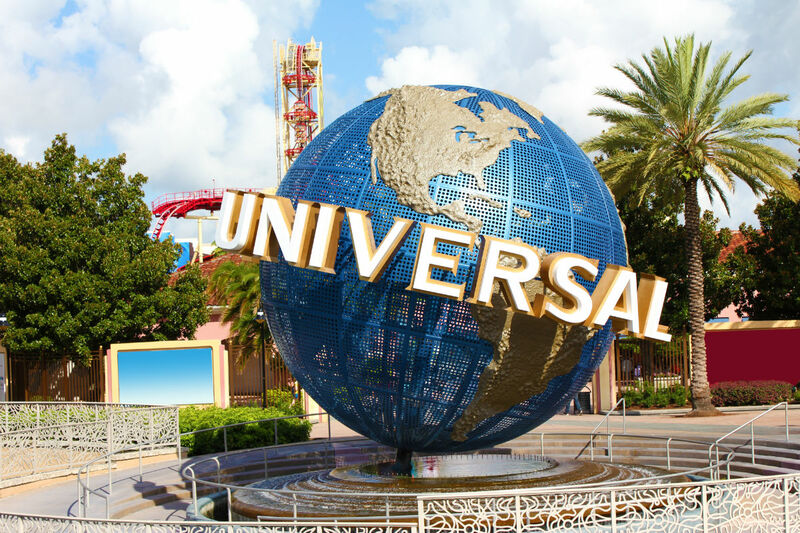 How Much Spending Money Do I Need for the Orlando theme parks? 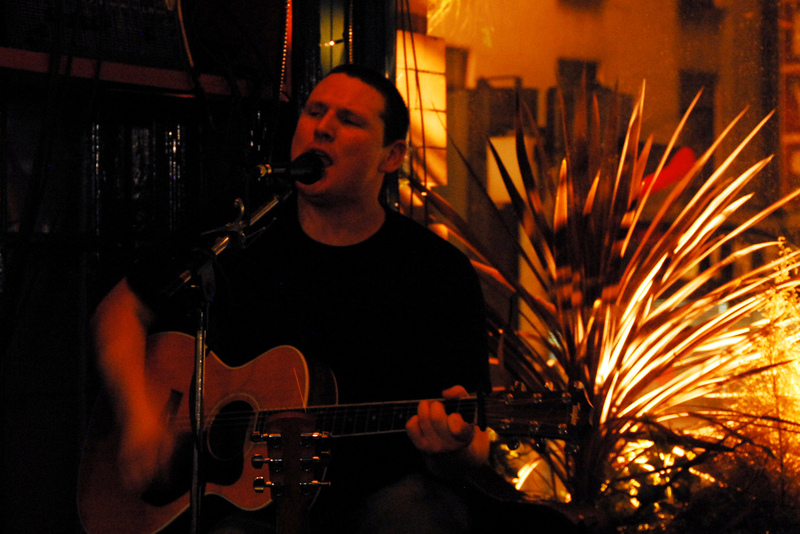 Find Dublin’s Best Pubs… They’re Not in Temple Bar! 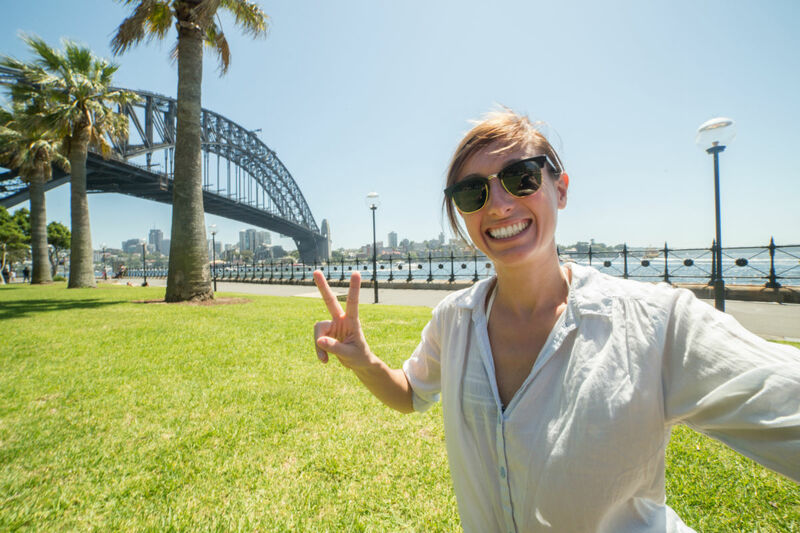 How much spending money do I need in Sydney?